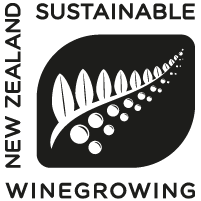 “Our wines are crafted from hand-picked vines on Flaxmore’s north facing slopes in the Moutere Hills near Nelson. The combination of clay-gravels, climate and attention to detail has resulted in fine, balanced wines which fully express the vineyard’s special character: elegant fruit notes with some restraint on the palate that makes them outstanding wines to complement food - both casual and fine dining”. The 9 hectare vineyard is superbly positioned on the eastern edge of the Moutere Valley, 6 km from the coast and 60 metres above sea level. We launched the Flaxmore label with a single vineyard series of wines: A 2018 Pinot Gris and Rosé have just been released and the Pinot Noir is currently in barrel for release in June 2019. We are developing several parcels of chardonnay for expected release in 2020.